Above is the motto of those that live to create. Steve Jobs spent years breaking things down to better understand them, and once his understanding grew, the rest is iHistory. This week I’m going to exercise a little creative license of my own and apply it to leader development. If you don’t have a good understanding of leader development (open it), you can’t effectively lead (own it). So, let’s take two common misconceptions and open them up. Hopefully by doing so we can better develop our own programs to develop leaders (as well as ourselves). Misconception #1: Leader Development is a monthly/quarterly program I create to discuss required reading or teach subordinate leaders about an offensive or defensive concept. Let’s Open it Up: As defined in the Army Leader Development Strategy, leader development is a, “continuous, progressive process by which the synthesis of an individual’s training, education, and experiences contribute to individual growth over the course of a career”. Within ADRP 6-22 we find that training, education, and experience occur within three domains: The Operational Domain, the Institutional Domain, and Self-Development Domain. The Operational Domain encompasses all the units we belong to. The Institutional is the military education system, in my case: Training and Doctrine Command (TRADOC). The Self-Development Domain is what we do on our own to contribute to our development. All of these play an equally important role in the development of leaders. So what does all this institutional jargon really mean? Let’s say that Second Lieutenant Smith remains in the Army for 20 years. Your ability as a commander to have any influence on that development is relatively short in the grand scheme of things. Therefore, your obligation as a leader is to provide Lieutenant Smith with the proper training, education, and experiences within the Operational Domain in the short time you possess his full and undivided attention. Not only that, but giving that lieutenant the tools to progress in the Self-Development Domain is equally important. You have a very limited time to ensure he has the tools to develop himself over the remaining time he is in the Army (and after!). Misconception #2: While this leader development discussion is great, everyone knows that leaders are born, not made! Why waste our time? Let’s Open it Up: In his book Leadership Development in Balance, Bruce J. Avolio does an excellent job of helping us conceptually understand the born vs. made argument. Think of “born” as the denominator in the leadership equation; this number is set and is the sum of the capabilities we’ve been endowed with through genetics. Usain Bolt was born with a runner’s body. Clay Matthews was born with the build to play in the NFL. 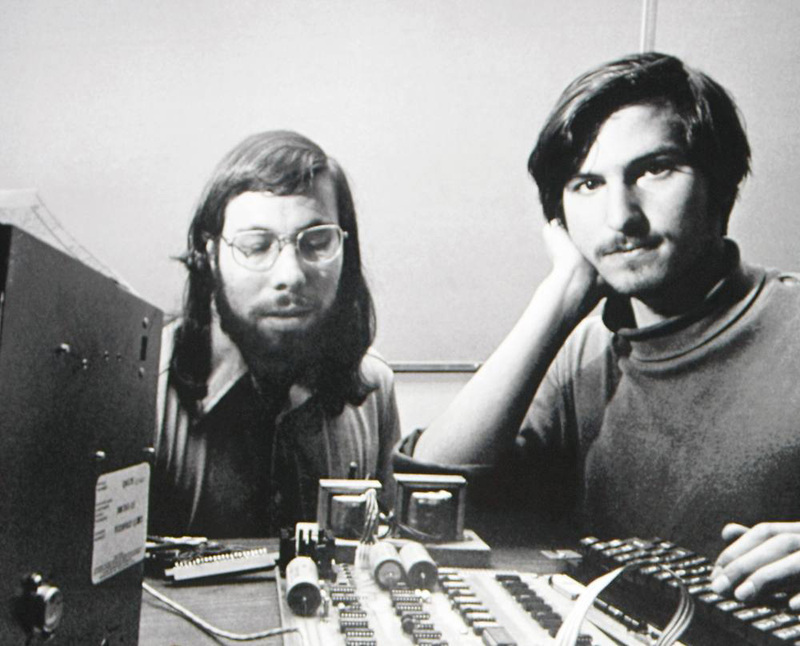 Steve Jobs was born with the ability to make connections between disparate elements related to design and functionality. While all of these gentlemen may have been predisposed to their later roles in life, it doesn’t mean they were preordained. They still had to practice and develop their talents. Now, think of “made” as the numerator in the equation; this number isn’t set, and can be increased through training, experience, and education. And this is why leader development is so important, because not only does it improve the required skills of those who might not be a “natural born leader,” it also increases the abilities of those who were born with the gifts to be a great leader. Our responsibility as leaders is to focus on how we can increase the numerator in ourselves and our subordinates. Now that we know leader development isn’t a series of episodic events in a classroom and leaders are both born and made, I think we may be able to abandon the Leeroy Jenkins Model, and cook up something better. After all, we only have a limited time as leaders to influence our subordinates’ development, so why not make the most of it? Next week, I’ll provide a practical approach to developing a program that focuses on the Operational and Self-Development Domains, elaborating further on the concepts above. One final thing, I would like to possibly overstep my bounds as a blogger and throw out a homework assignment for next week (think Self-Development domain). Read COL Doug Crissman’s Improving Leader Development Experience in Army Units and check out the Leader Development Topic under the Maneuver Leader Self Study Program. Pay special attention to the role meaningful experiences and transformational approaches play in the development process. Next The Weekend Safety Brief Must Go! I’m with you, AES…and I rarely agree with anyone on anything. Typo under misconception #1: the O-domain is “operational” not “organizational”. Hopefully you’ll be more wrong next week — i’m uncomfortable agreeing with people and not very good at it. Mark, thank you you for taking the time to read my post and for correcting me! Typos fixed! I am enjoying your blog and have been sharing your posts a leadership group I manage. Is there a way to subscribe to your blog? Thank you Bill! You should be able to “follow my blog” and receive those updates. I will play around with some of the features this week and see if I can’t make it more intuitive. Ah, now I see below the link, I don’t know how I missed it. Thanks again. Thanks. I’ve updated the link!